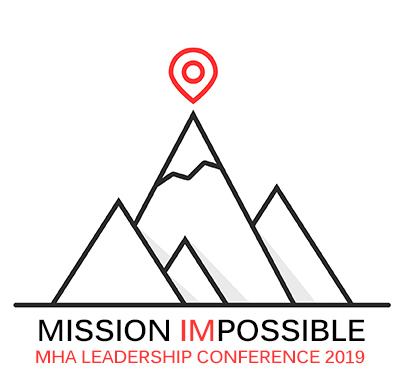 If you are attending as a member of the Presidents Council, a retired member of the Quarter Century Executives, an Honorary Member, a member of the MHA 2019 Emerging Leaders class, or as a member of MHA's 2019 Executive Orientation, your registration is complimentary. To register for this event, please contact Cynthia Grinston at (800) 289-8884, (601) 368-3240 or cgrinston@mhanet.org. For more information, contact Shawn Rossi at (800) 289-8884, (601) 368-3237 or srossi@mhanet.org. RHA members: Registration fees are paid through RHA for one member only. Additional attendees from your facility will need to register separately.